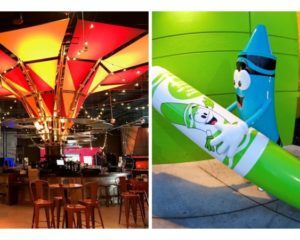 Orlando – We put on our themed entertainment goggles and plunged into the 2017 InfoComm show, held in June, to explore and highlight products and companies with a stake in the business of creating guest experiences for theme parks, museums and visitor attractions. InfoComm highlights the latest in commercial AV technology and products. Organizers reported 44,000 attendees this year, a record number and an increase of 14% over the prior year. 950 exhibitors occupied 545,000 square feet of trade show floor. In the US, InfoComm alternates yearly between Las Vegas and Orlando. Internationally, additional shows take place in Europe, India, and Beijing and Chendu, China. 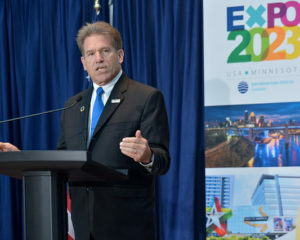 Orlando being a world themed entertainment hub naturally influences the exhibitor mix and educational programming, and there was plenty for us to take in. 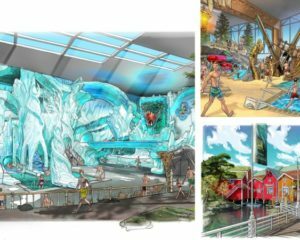 In the attractions sector, Christie Digital continues to improve and expand its hardware and software products – remaining a leader in projection technology and manufacture with such products as its workhorse laser projector, the Christie Boxer – and augmenting that with a whole-product orientation and forging creative partnerships. One very high-profile partner is Universal Studios: in summer 2016, Christie was named official projection system partner of Universal’s North American theme parks. Another is director Ang Lee, with whom Christie collaborated to support creating Billy Lynn’s Halftime Walk for stereo 3D, 120 frames per second exhibition. Recent Christie activity in the planetarium and giant screen cinema business includes providing projection equipment for Evans & Sutherland’s Digistar 6 TRUE8K demos. The company also collaborated with D3D Cinema to replace a 15/70 giant screen film projection system at MSI Chicago. 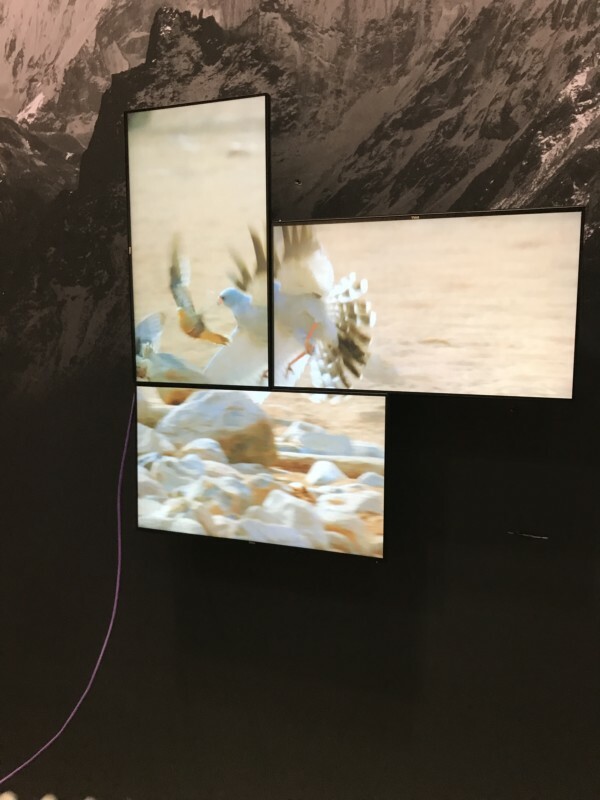 At its InfoComm 2017 booth, Christie showcased Terra, its Software Defined Video over Ethernet (SDVoE) technology for video distribution, the latest generation of Christie Mystique projection mapping software, and the Spyder X80, a multi-screen processor capable of projecting 80 million pixels at 4K 60Hz. 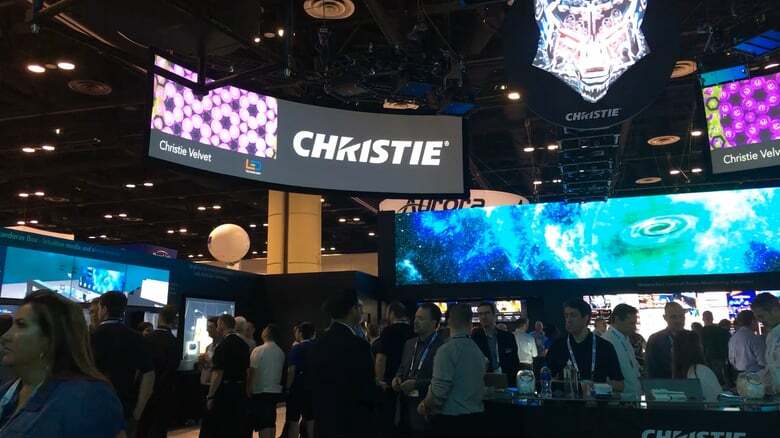 Last year we reviewed Mystique, Christie’s projection mapping software, and Pandora’s Box, the company’s real time rendering and show control system, as seen at InfoComm and the IAAPA Attractions Expo. This year the company is offering four different Mystique packages. The Mystique Essentials is ideal for image blending on flat surfaces, such as walls or screens. Pro Venue is for sports arenas and stadiums, where the playing surface becomes a projection screen. 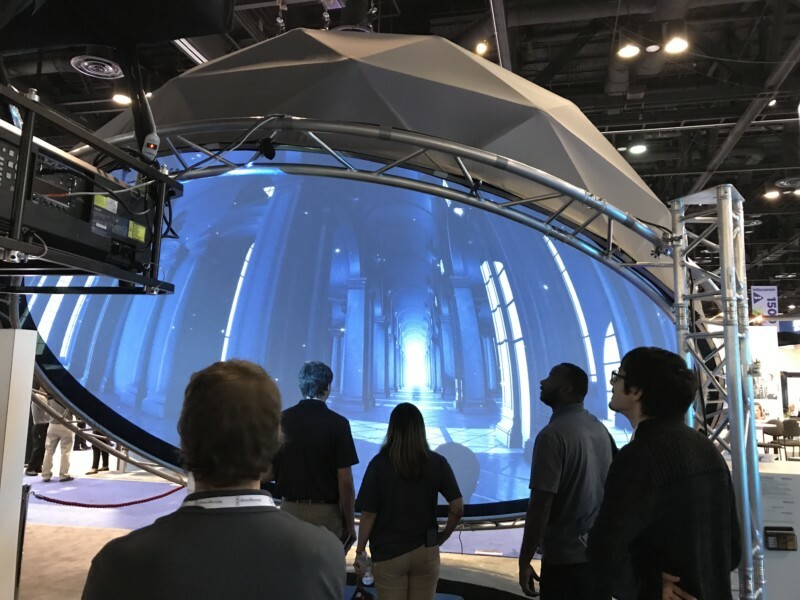 Premium serves the curved screen and dome theater community, while the Large Scale Experience Edition is designed specifically for dark rides and other attractions utilizing blended images or projection onto irregular surfaces. Mystique works with another Christie software product, Christie Twist, to fix warping and blending issues. Rideplayer is designed specifically for use in theme park vehicles which are prone to rugged use, such as dark ride vehicles, coasters, or parade floats. The product takes into consideration the robust requirements of an industry that demands consistent, year-round operation. Rideplayer uses a number of solutions to synch in-board audio precisely with audio, lighting, animatronics, and projection effects outside the vehicle, including GPS, SMPTE code, and Video Genlock (a device for maintaining synchronization between two different kinds of signals). With Alcorn’s V16 show control software built in, RidePlayer can interact directly with a number of other components such as animation controllers and RFID scanners. 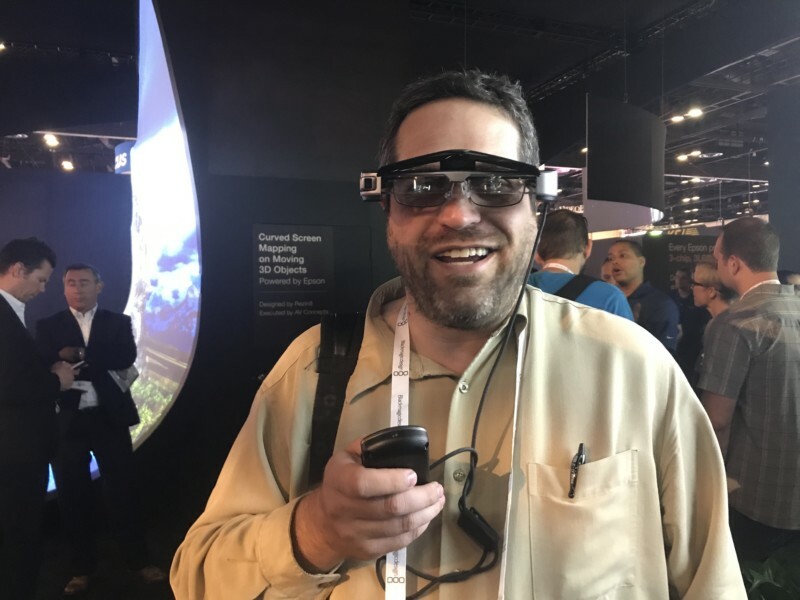 The author tours Epson’s booth in Augmented Reality with the Moverio BT-350 headset. The Seiko Epson Corporation began in Japan in 1942. 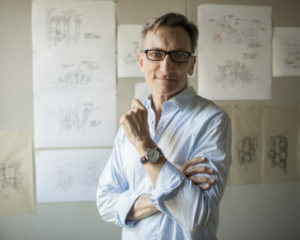 Over the years, its products have included timepieces, printers, and robotic systems. The company’s US subsidiary, Epson America, concentrates on projection, ranging from laser projectors to the EPSON Moverio BT-350 augmented reality headset, designed specifically for the multi-user consumer market. Anna Jen shows off Moverio’s multi-unit charger. The BT-350 is already being utilized to enhance the guest experience in 15 heritage sites throughout Italy and Switzerland, including the National Gallery of Ancient Art in Rome and the Leaning Tower of Pisa by Italian AR programmer ARtGlass. Now expanding into American markets, ARtGlass has an installation pending for Highland, the Virginia estate of President James Monroe. 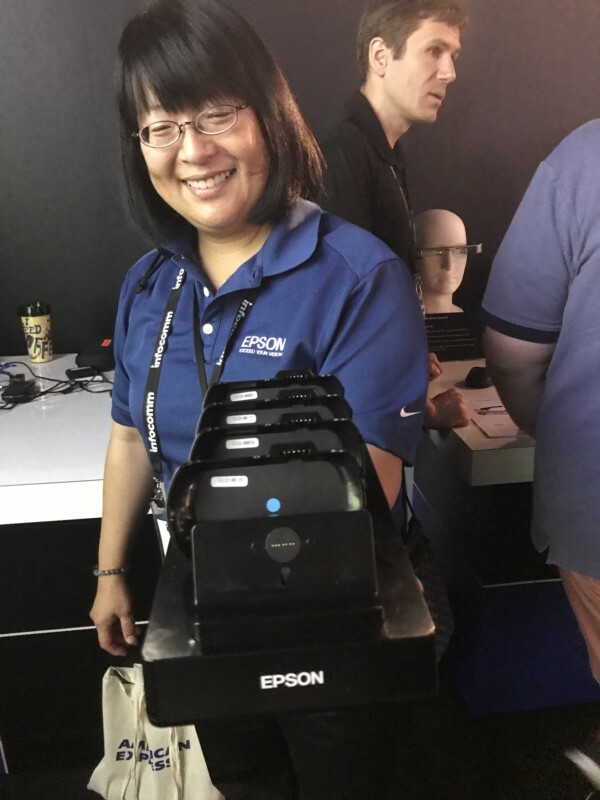 Anna Jen, Epson’s Director of Augmented Reality Solutions showed us how the product is designed to support programming multiple tours. A single multi-unit charger powers up the batteries while also sending the appropriate program to the drive. The Moverio utilizes twin projectors, that when projecting onto the headset’s lens create a stereoscopic image. The OLED display is projected at 720p resolution. In terms of projection, the throw ratio is defined as the distance between a projector’s lens and the width of a screen. As a result of new lens technology, EPSON this year introduced a very short throw (defined as a throw ratio less than 0.38), the Powerlite 700U, a 3LCD Laser projector capable of filling a 130” wide screen with 4000 lumens of light from a distance of only 15” from the screen. The main target application is digital signage. According to Ramzi Shakra, Epson Manager for Large Venue Projectors, the 700u and the company’s two interactive models, the Brightlight 710Ui and 1470Ui, are also ideal for locations such as museums are attractions where space is limited or the designers wish to conceal the lens beam from visitors. BenQ, a Taiwanese company specializing in consumer projectors, monitors and digital signage, showcased an ongoing trend in AV that leaps ahead from year to year: interfaces becoming simpler and easier to use, in turn simplifying the job of programming. BenQ 43” and 55” smart digital signage comes with free software and 100 different templates. Minneapolis-based Tightrope Media Systems’ digital signage software can be found in a number of tourism-heavy venues, including Mall of America (Minneapolis). This year, Tightrope expanded the availability of its flagship Carousel software by adding two media players – Brightsign and Apple TV. The provider touts that Carousel content can be created using pre-designed or original templates and monitored from any web browser, on any computer or mobile device. Renewed Vision has a long history of providing AV solutions for venues ranging from houses of worship to international sporting events. 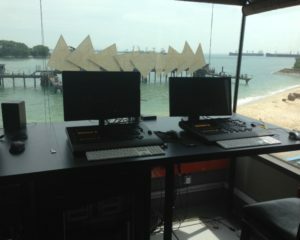 This year, the company introduced version 6 of its ProPresenter software. New features include the ability to apply transitions to individual objects, HTML5 support which allows for the introduction of internet elements to graphics slides, and a show scheduler for individual playlists. 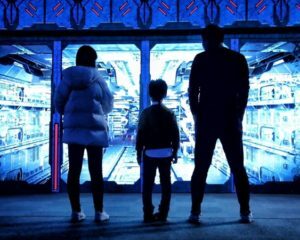 In a bid to expand its presence in theme parks and visitor attractions, Panasonic established a new Media Entertainment Business Division, headed by Masaki Arizono, and announced a strategic corporate alliance with Walt Disney Parks & Resorts to provide projection services for Disney’s North American parks and cruise ships. One product Panasonic highlighted at InfoComm was its AW-SF100 motion tracking software. 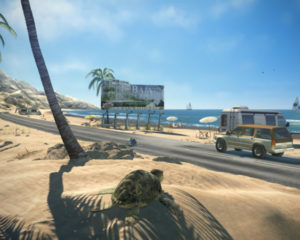 A live demonstration showed the software tracking a choreographed dance. It was linked to the company’s projection mapping software, creating dimensional animation that was projected simultaneously on a static backdrop and the moving body of the dancer. Panasonic has developed a short-throw 4K lens for dome screens. Just Add Power showed that digital signage can be designed in any configuration. Just Add Power’s products have the ability to transmit Ultra HD (4K) signals over IP. As Just Add Power’s Taft Stricklin explained, everything is handled through a proprietary codec and the system also carries audio signals – from single channel analog to multi-channel digital formats such as Dolby Atmos. 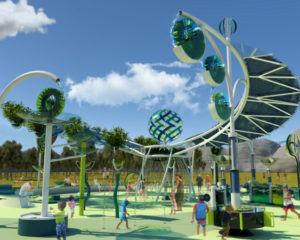 Among the company’s clients are the Walt Disney World Resort. 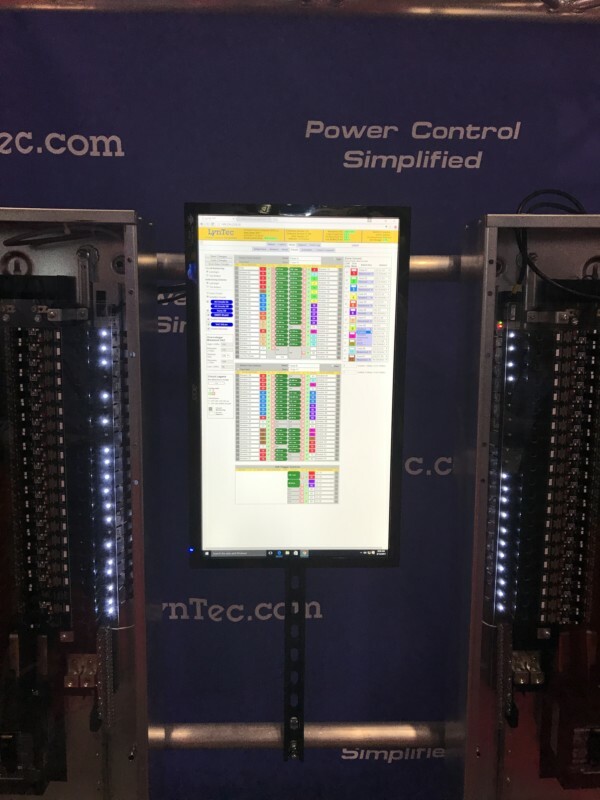 LynTec demonstrated its power automation control. Power control regulates the amount of power fed to a device, including AV, show control, lighting, and wi-fi. 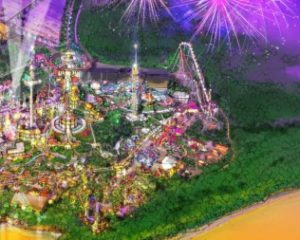 LynTec, whose products are in use at SeaWorld parks and the Wynn Resort in Las Vegas, offers networkable power automation control, a remote control to the circuit breaker, and a lighting control relay panel. As LynTec President Mark Bishop pointed out, the system can be controlled manually or automated and can be accessed via either computer or wireless mobile device. The key benefit of LynTec’s system is that power control can be monitored and assigned from any computer, removing any need for staff to physically access breakers. 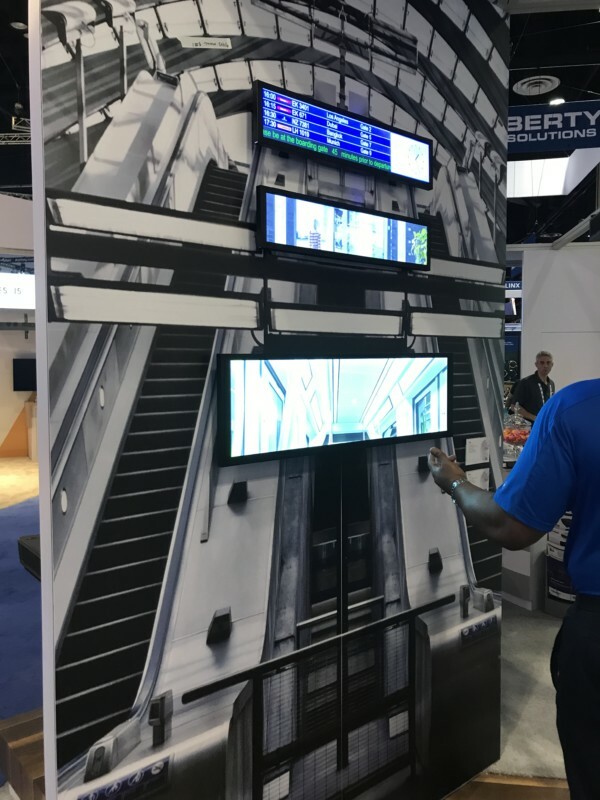 Middle Atlantic Products, provider of racks and power distribution systems, introduced its Intelligent Technology Enclosure, designed based on feedback from the company’s customers as to their AV needs. A dual-hinged, automated power door allows integrators easy access to the rack. 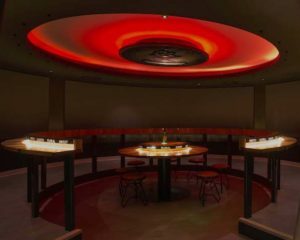 Full illumination and locator lights make it easier for integrators to determine where problems are happening. E-glass, which frosts the window, turns the rack into an attractive piece of furniture which can be placed in a public area, but with the public not being able to see or access what’s inside. The ITE is expected to be available later this year. biamp’s Tesira line ensures steady levels across multiple audio channels. biamp’s products can be found in the Peoria Riverfront Museum, Denver Museum of Nature and Science, Kalahari Resort Poconos and Bass Pro Shops. We looked at two biamp products that have been applied in the attractions/museum sector. Tesira is the company’s flagship AV platform, processing both audio and video signals, while Vocia is a networked paging system. Vocia allows for two-way communication, something that is mandated in a number of US states in case of emergency. It also facilitates zoned paging within a facility. As with many of the system control systems on display at InfoComm, biamp’s Tesira is fully Dante compatible. 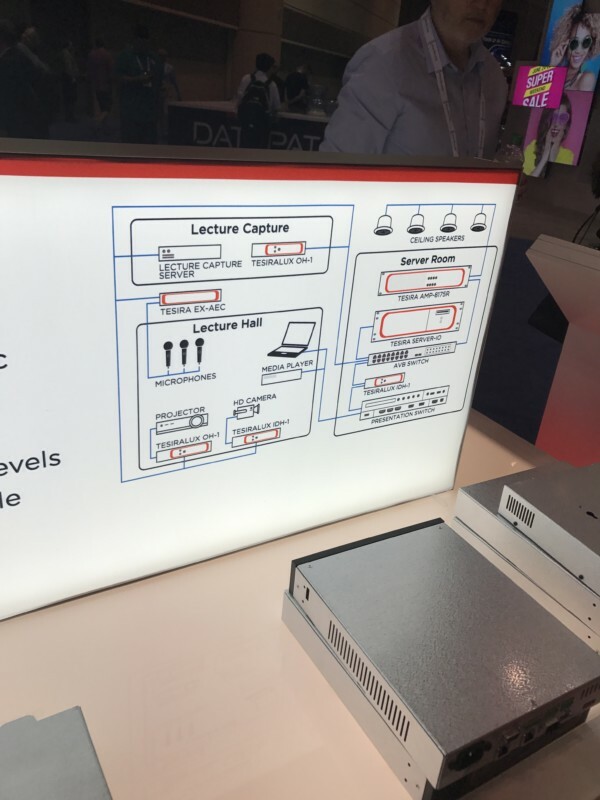 This speaks to the growth of the Dante audio platform, a series of protocols developed by Audinate that deliver uncompressed, multi-channel, low-latency digital audio over a standard Ethernet network. Audinate showcased its new Dante Domain Manager, available in three versions, each of which enables integrators to define custom domains – specific AV device groupings, by room, building and site – regardless of physical network infrastructure. Dante Domain Manager also provides security for IT departments and AV managers, including user authentication and role administration. The interface is touted as simple and easy to use. Digital projectors continue to shrink in size. One such example is Vivitek’s top of the line DLP projector, the DU8090Z. It boasts being a mere 29 inches deep, yet projects 8000 Lumens of brightness and has a 10,000:1 contrast ratio. Vivitek claims the life of the projector, which uses a phosphor laser light source, at 20,000 hours. A centerpiece of the booth was a display comparing lamp-based projectors with phosphor laser to show the advantages of the latter. 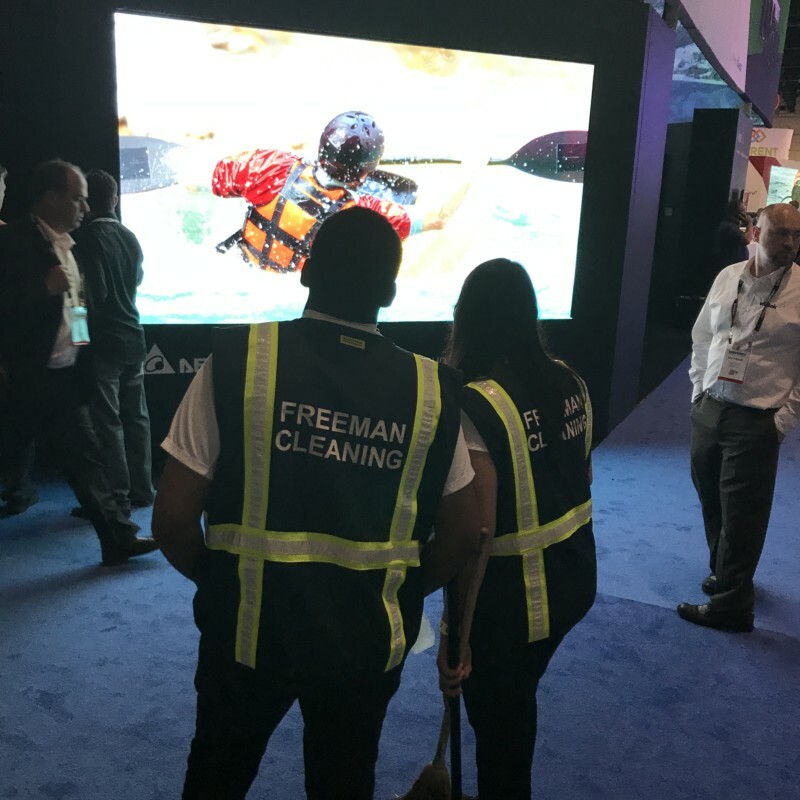 Blended with software from d3, the laser mages were compelling to the point that we noticed some of the convention center cleaning crew stop in their tracks. Vivitek 4K laser projection stopped convention center staff in their tracks. Atlona has partnered with QSC to co-develop plug-ins for the Q-SYS platform, a scalable audio, video, and control solution. 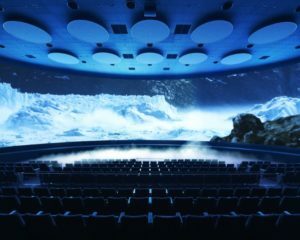 QSC systems, running off the Q-SYS platform, are currently utilized in a large number of giant screen and fulldome theaters, cinemas, and media-based attractions. Q-SYS was heavily implemented at the new Smithsonian National Museum of African America History and Culture in Washington, DC. The new plug-ins will allow Atlona’s AV over IP Omnistream products to interface directly with QSC Q-SYS software. Omnistream is designed to deliver 4K video, audio, and control over a standard Gigabit network. As is our custom, InPark attended the Geekout, a private event on show control systems. The Geekout is held annually to coincide with InfoComm, by John Huntington, Professor of Entertainment Technology at New York City College of Technology and author of Show Networks and Control Systems (which Huntington is currently updating) and Jim Janninck of Timberspring Design + Engineering. 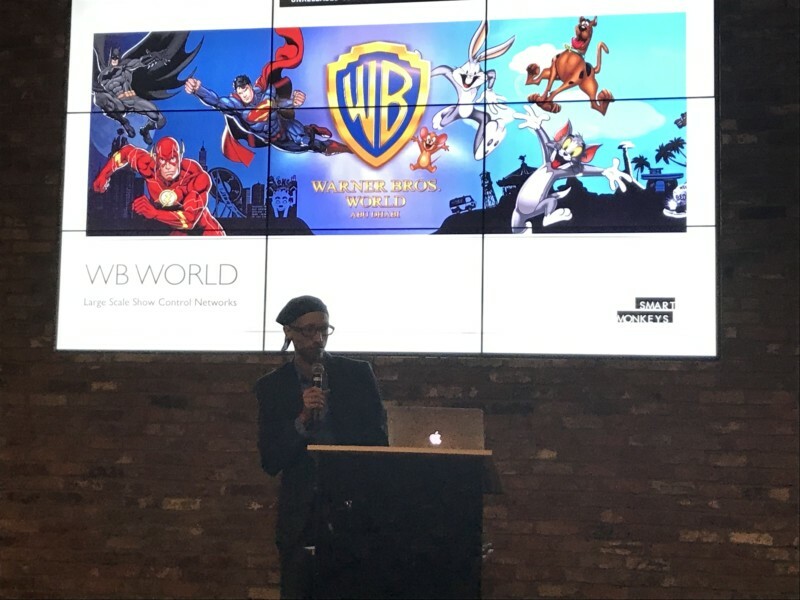 This year, Mitch Schuh of Smart Monkeys, a Miami firm that designs and programs show control systems for attractions and retail venues worldwide, started off discussing the company’s work for Warner Bros. World Abu Dhabi. The new park consists of 13 primary edge locations plus a core that are tasked with distributing data in a redundant yet segregated fashion. 120 switches feed into up to eight local VLANS. The entire project is run through Juno’s Space, an on-premises web application developed by Jupiter Software. 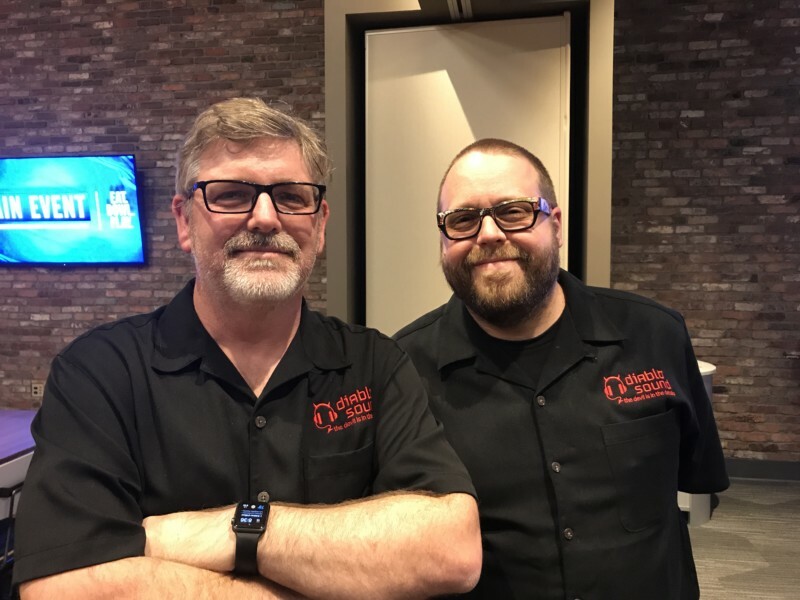 Drew Dalzell and Ian Burch of Diablosound spoke about their annual job of providing audio, lighting, and show control systems for Universal Studios Hollywood’s Halloween Horror Nights. 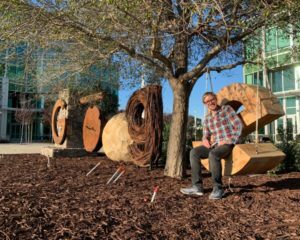 The company has three weeks to install the system, which includes three main tech rooms, a video tech room, and an individual tech room unique to each maze, along with 30,000 feet of cable. One of the most difficult parts of the assignment according to Dalzell is the Terror Tram attraction, where guests walk through the wreckage of a 747 about three football fields long. 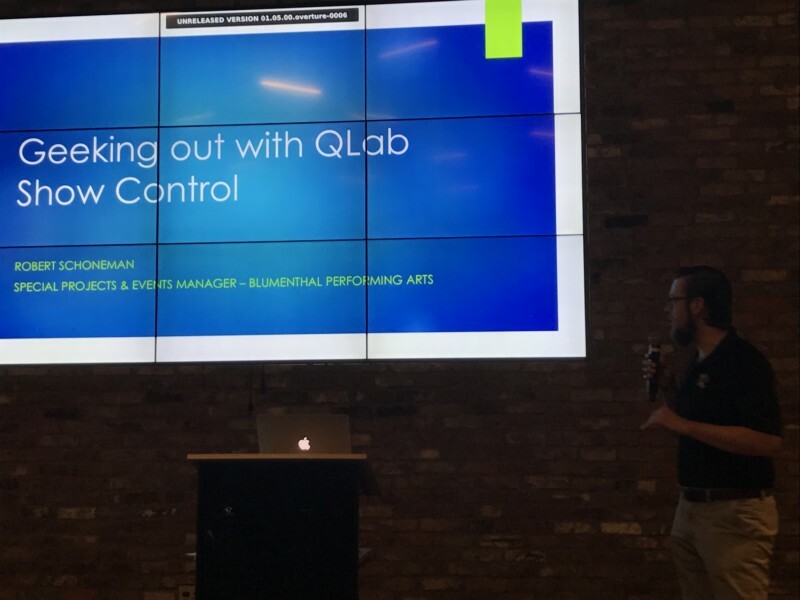 Robert Schoneman of Blumenthal Performing Arts in Charlotte, North Carolina, shared his experience in automating audio effects for Basic Training, a one-man live performance employing 50 characters. 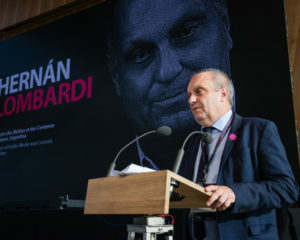 He addressed the challenges of a non-profit, such as how automation affects employment and that it becomes increasingly more difficult to recover the production if something goes wrong. 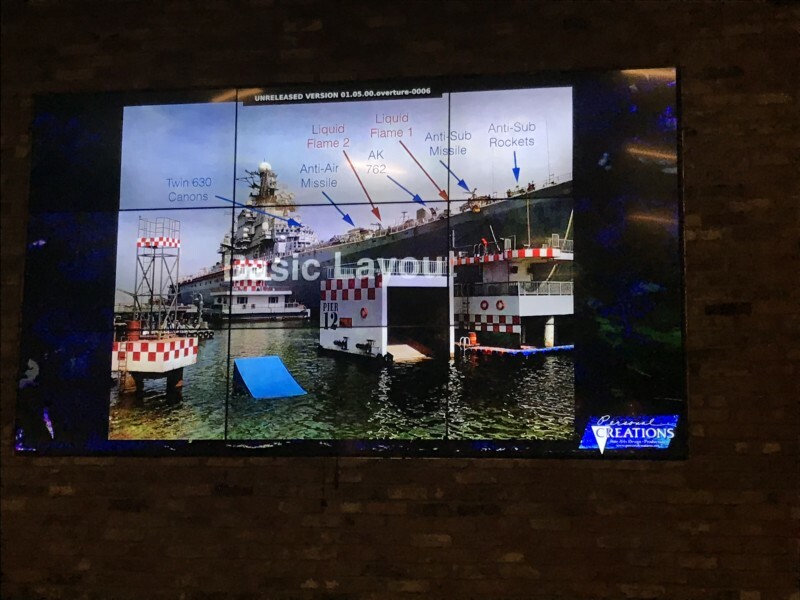 Marc Rosenthal of Personal Creations spoke about his work on Strike Force, a stunt show that takes place on and in the water around a former Russian aircraft carrier in Tianjin, China. 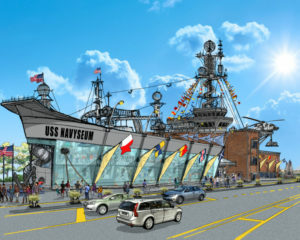 Controlled via Barco’s Medialon software, the show uses a series of props and explosives set near the ship, as well as controlled blasts from the ship’s weapons themselves. 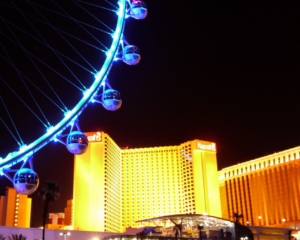 Digital technology has had an enormous impact on attractions and entertainment venues. Touring around Orlando we saw billboards for a major theme park announcing “What’s next is now.” The same could be said for the InfoComm show. New technologies build upon older ones and often result in new types of products. From racks to projection mapping software, we noted a common theme – easier to access, easier to program. The transition of system controls to mobile devices has simplified the interface. 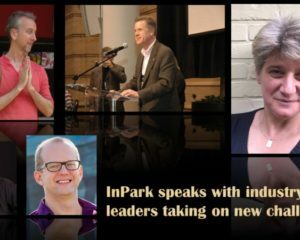 Many companies are moving in a whole-product direction, to be one-stop shops, by taking their catalogs in new product directions, partnering with others, or even outright buying them, such as with Samsung’s recent acquisition of Harman, which will result in joint packaging of video and audio products. 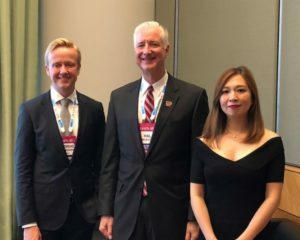 The one-stop shopping option is seen by many providers as the best way to serve emerging markets such as China, where newer developers and operators are making significant investments in visitor attractions. 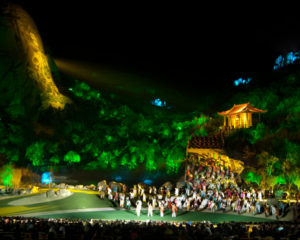 AV suppliers are looking at the attractions industry and taking notice. 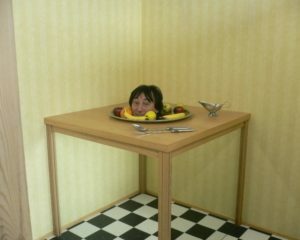 Major manufacturers continue to introduce products specific for the market and to partner with big players and creatives. Others are finding that existing products that are used in one market can successfully migrate into another. 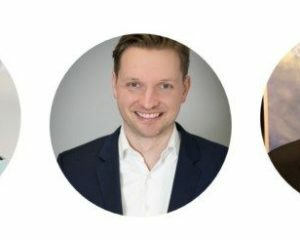 The general trend is that as more hardware and software providers position themselves to serve – or better serve – the attractions market, they begin to work early on with creative talent to develop and adjust their technology to meet the industry’s needs. 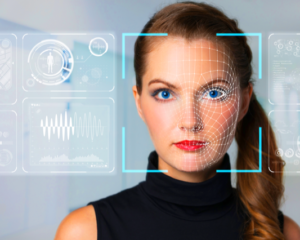 This will lead to more vibrant images and audio, more robust show control packages, and ultimately a better and more impressive guest experience. We would like to thank Julie Stern-monteiro and Jim Reilly of Panasonic, John Swinimer and John Berkovich of Christie, Peter Schuyler of InGear, Brian Galante of Dimension PR, David Steinberg of Goliath, Mike Gazzano of Delta Products/Vivitek, Vared Hazanchuk and Melissa Dolan of Epson, and John Huntington and Jim Janninck for arranging booth visits and the invitation to the Geekout.